Firstly, the video playlist (above) from our Youtube channel features every single by the band, plus a live performance on The Tube from 1983. There were countless 80s synthpop bands around back in the 1980s, of course. 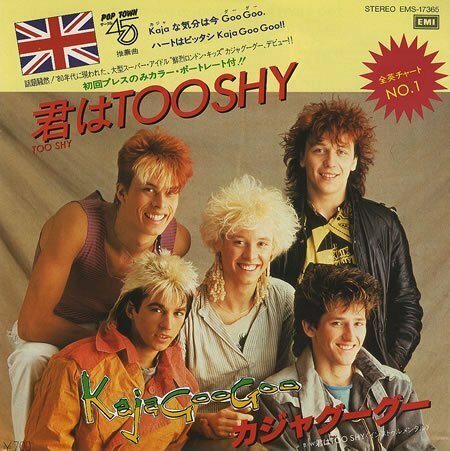 But with their flashy hairstyles, lush music productions, and basslines to die for, Kajagoogoo were about as eighties as you can get, but in a good way, of course! The band are best remembered for their No.1 UK single "Too Shy", which was taken from the band's debut album White Feathers, which reached No.5 in the UK charts and No.38 in the U.S. During 1983. The original version of the band formed in 1978 with the name of Art Nouveau, who are not to be confused with the other pretentiously-named new wave band Classix Nouveaux. The line-up consisted of Nick Beggs on bass, Jez Strode on drums, Steve Askew on lead guitar, and Stuart Croxford in synths. They released the single "The Fear Machine" without a record label, which sold a few hundred copies after they performed on The John Peel Show on Radio 1. 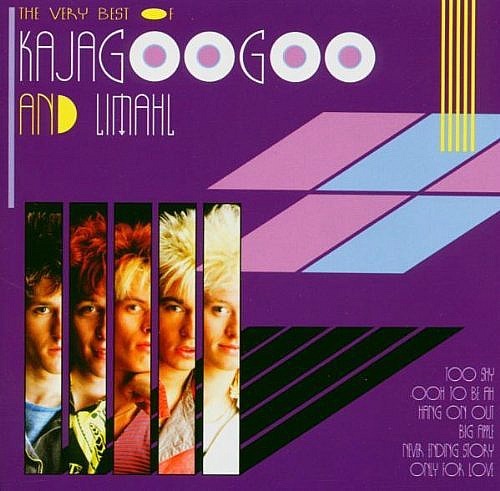 In 1981, the band signed up Christopher Gamill (Limahl) as the lead singer and renamed themselves as Kajagoogoo. 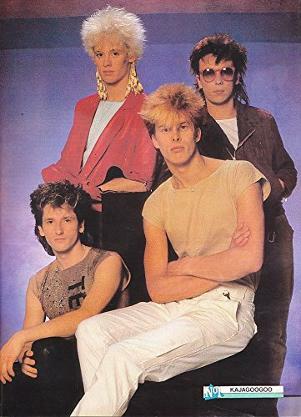 In July 1982, the band signed to EMI, and released their first proper single "Too Shy" on 10th January 1983, which was an instant success, and became the band's first and only No.1 in the UK and Germany. 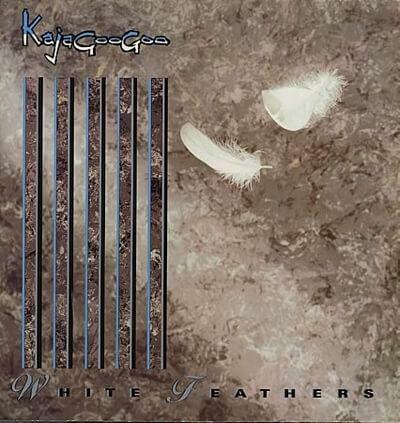 On 18th April 1983, Kajagoogoo released their debut album White Feathers, which was the band's only top 10 album, reaching No.5 in the UK. It was also the only album to feature Limahl as their lead singer. They achieved success with two more UK hits from the album, which were; "Ooh to be Ah" (No.7 - UK) and "Hang On Now" (No.13 - UK). The album was mainly produced by Duran Duran's Nick Rhodes and their own producer Colin Thurston. The album was mainly produced by Duran Duran's Nick Rhodes and their own producer Colin Thurston, and the majority of the songs were penned by Nick Beggs and Limahl. Their self-titled song (track 5), featured as the opening track to the John Hughes coming-of-age movie Sixteen Candles. Although the album included 10 tracks - this was the typical number of tracks for an album back then, as they had to fit onto a vinyl LP and cassette - it was relatively short at just under 35 minutes long. Indeed, the average running time of the tracks was just 3:27, with only track 10 ("Frayo") lasting for over 4 minutes. Now they wouldn't have been a proper 80s band without a big bust-up, and in mid 1983 that's exactly what happened as lead singer, Limahl, was fired by the rest of the band! 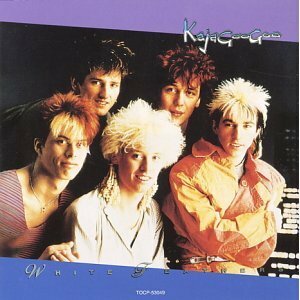 The new Kajagoogoo with lead singer Nick Beggs (the bassist) released their first single "Big Apple", which reached No.8 in the UK in late 1983. Now, I adore this track (particularly the bassline), but I can't help feeling that Nick Beggs sounds more like a backing singer than a frontman - he's an awesome bass player, though. It's a nice effort, and at least he sang in key. 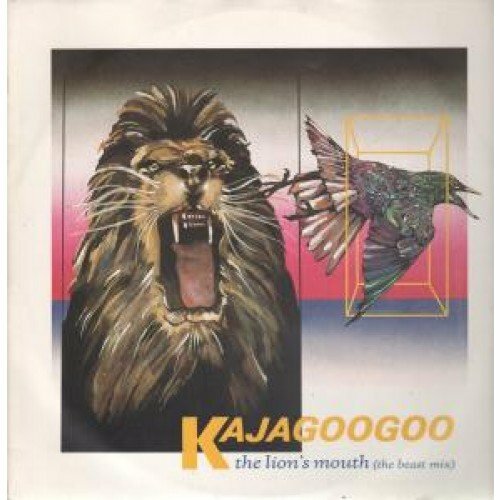 The follow-up single "The Lion's Mouth" reached No.25 in 1984 - sadly, this proved to be Kajagoogoo's last Top 40 single. 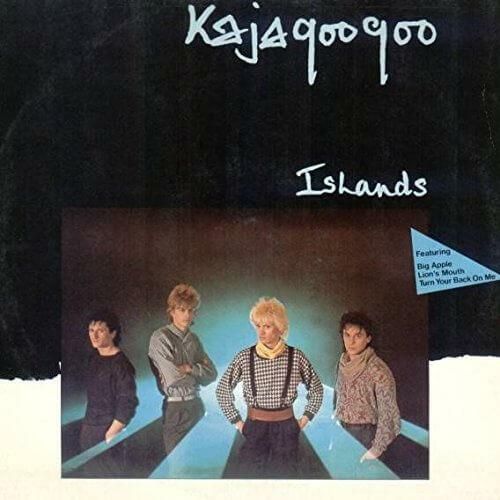 Both songs were taken from their second studio album Islands, which was released on May 21 1984, but only managed to scrape into the Top 40 at No.35. Featuring an interesting mix of musical styles including funk, jazz, pop, and rock (Steve Askew even plays a sitar! 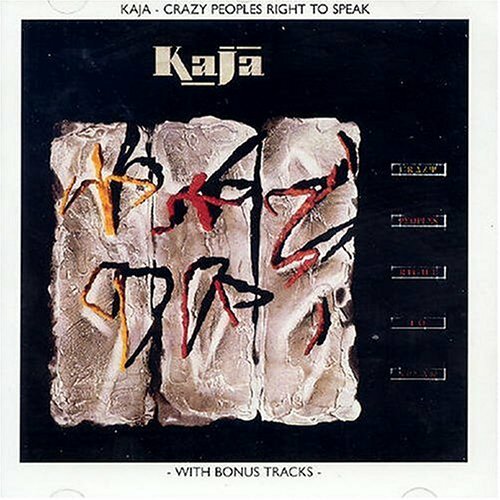 ), the band's third studio album was released under the name of Kaja, which had already been used in the U.S. on their second album, Islands. The band was now down to three members after their drummer, Jez Strode, quit in 1984. The album was a major flop, and the one and only single released from the album, "Shouldn't Do That", peaked at #63 in the UK. The band split late in 1985. The original 1985 album lasts for 40:03, but the remastered 2004 version lasts for 60:45 and includes four bonus tracks. The re-release came after the band featured on the VH1 programme Bands Reuinted. in 2007, Nick Beggs, Steve Askew, and Stuart Neale reformed Kajagoogoo to release the single "Rocket Boy" on 24 June 2007. 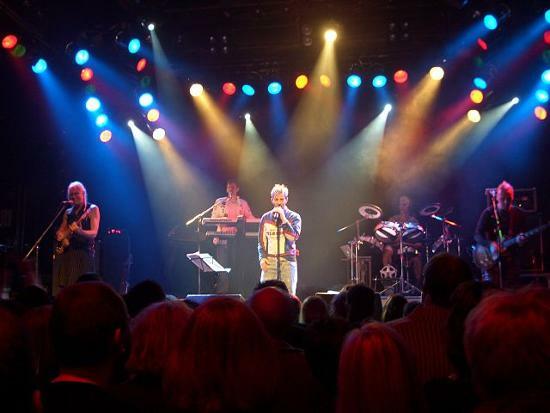 A new album Gone To The Moon was put on hold until February 2008, and the released coincided with the five piece line-up of the band with Limahl reforming.The band toured Europe and then the UK during 2008 and 2009. 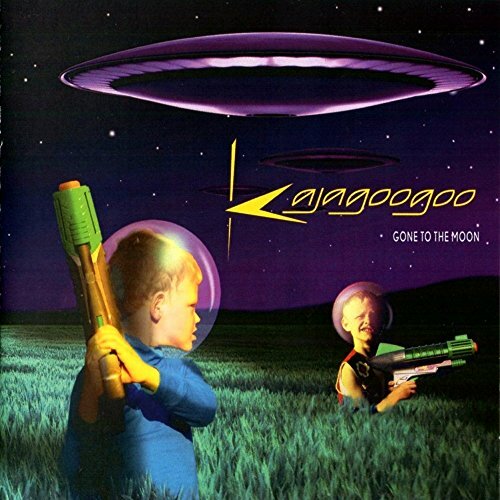 In 2009, the band recorded two new tracks and released a promotional video "Space Cadet", a funky track that features on the band's 2009 compilation album Too Shy - The Best Of Kajagoogoo And Limahl - Not to be confused with the album which was released in 2003. In fact, there are no less than nine compilation albums, so there are plenty to choose from! As with almost all of the bands songs, Space Cadet features a gorgeous bassline and the video was released merely to promote the album and was, sadly, not released as a single. In 2011, the band released their first single as a 5 piece line-up since 1983 entitled "Death Defying Headlines", although it was only available as a download. It was announced in March 2017 (by Nick Beggs) that Kajagoogoo were officially no more, and the band members were "moving on". Limahl had brief success as a solo artist in 1983 and 1984. He had two hit singles "Only For Love" (No.16 - UK) and "The NeverEnding Story" (No.4 - UK), which was produced by Giorgio Moroder. Unfortunately, his album Don't Suppose only reached No. 63, and all of his other singles such as "Too Much Trouble" flopped. Kajagoogoo re-formed in 2007 and are now touring again. I'm not quite sure why Limahl would want is photo taken outside a ladies lavatory! Limahl and Kajagooggo performing in Germany during their 2008 reunion tour. This photo is in the public domain.